June is National Fruit & Veggie Month, and today, June 17th, is Eat Your Vegetables Day, when everyone gets to celebrate the flavor, versatility, and good nutrition in every crunchy bite. Disclosure: I partnered with Uncle Ben’s to provide solutions and inspirations for families to cook, shop, and eat together, always with the goal of getting more vegetables into kids’ tummies. (All opinions are my own.) 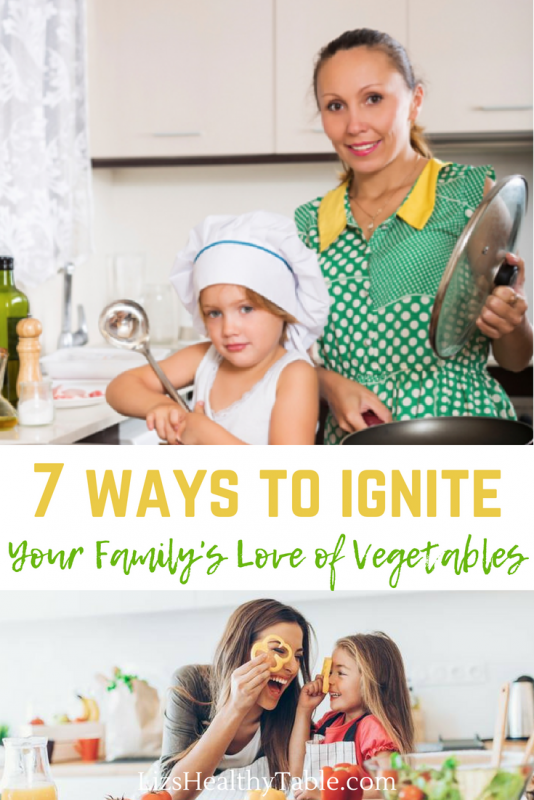 From navigating the farmers’ market for fresh, seasonal produce, to including your kids in meal planning and prep, to easy and inexpensive ways to incorporate more satisfying veggie-based side dishes onto your dinner menu, these seven tips and hints are designed to jumpstart your family’s love of vegetables all year long. Uncle Ben’s ran a survey of 1,000 parents with ModernMom to find out about family meal prep and dinner routines. The survey found that 63% of parents almost always get their kids to help with dinner—prep, setting the table, cooking. This is fantastic news for me, someone whose passion is getting kids involved in and excited about cooking and eating healthy foods! For parents still looking for clever ways to get their kids even more involved, here are some ideas. 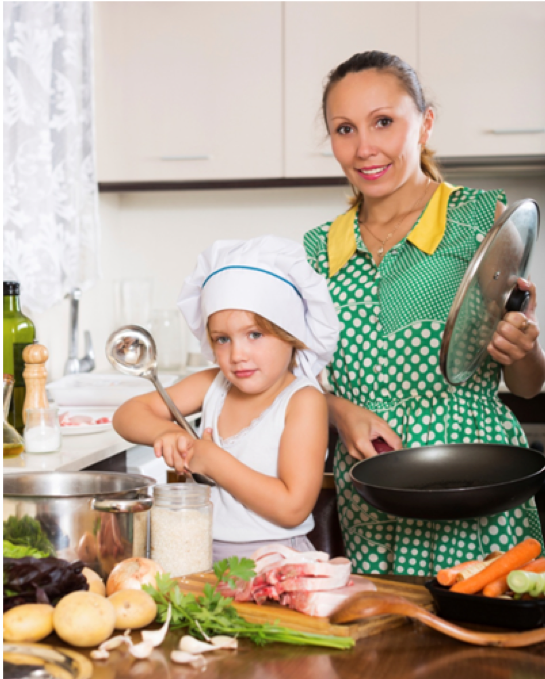 Invite your kids into the kitchen to help with meal planning and preparation. If you’re planning a Taco Tuesday feast or a build-your-own pizza night, ask your kids for their wish list of taco toppings or their favorite veggie for pizza. Including kids in meal planning increases their excitement when their food requests end up on the dinner table. Use my free 7-Day Meal Planner to take notes as you go and to get the ball rolling. Cooking with kids boosts that excitement even further. Start with simple tasks like having the kids set out a snack platter with baby carrots, sliced cucumber, and a Greek yogurt dip, or put your kids in charge of whisking a dressing for a gorgeous green salad. While things may get a bit messy, just think of the health benefits when your pint-size sous chefs clamor to devour their colorful creations. It’s not just little bodies that benefit from this work—little brains are learning math when they measure ingredients and literacy when they follow a recipe, and little hearts taking turns with siblings are learning cooperation. Parents of teens, it’s not too late to start—in fact, your kids are getting close to the time when they’ll need to cook for themselves! And the academic, social, and physical benefits of cooking together are just as strong for teens as they are for tots. Dinner prep is also a great time to have casual talks about teens’ problems; they won’t feel under the microscope. According to the Uncle Ben’s/ModernMom survey, 35% of families eat together every night, while 60% wish they could gather their families around the dinner table far more often. Most parents cherish dinnertime with their kids and see it as an opportunity to start conversations and find out about each other’s days. 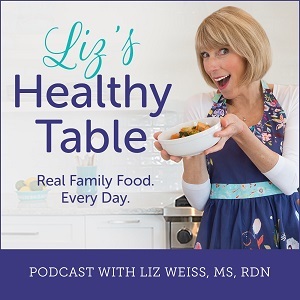 The benefits to children of shared family meals include everything from improved eating habits and a healthier body weight to stronger academic performance. 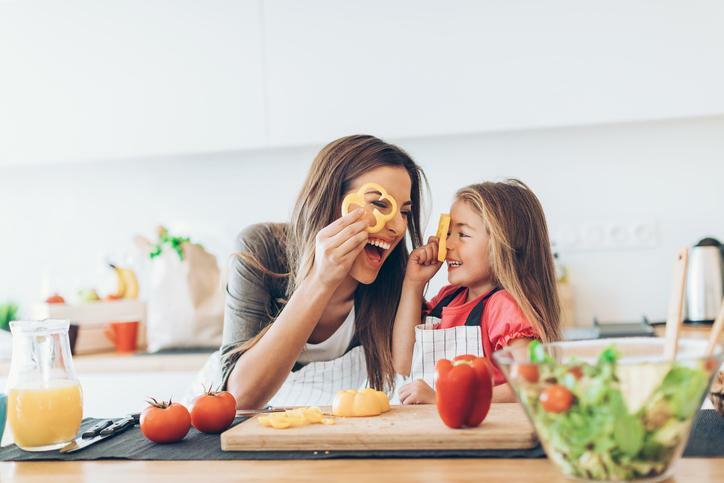 Make mealtime more manageable by planning ahead, being flexible (a picnic at the park counts, and so does a family breakfast), assigning kitchen tasks to every member of the family, and placing a realistic limit on evening activities. I wasn’t surprised to see that 58% of survey respondents felt that easy recipes would help them overcome the various barriers to eating together as a family. 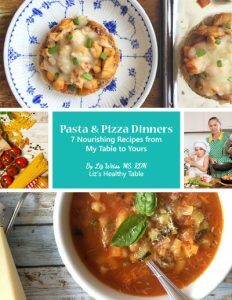 Coming up with new healthy dinners night after night can feel so hard! Browse my recipe archives for ideas, and for more easy and affordable dinner solutions, side dish inspiration, and interesting ways to add rice to family meals, check out the resources over at Uncle Ben’s. Place the meal and all the trimmings in the center of the table in large bowls and platters, and encourage everyone to pick and choose what appeals to their taste buds and appetites. It’s fun for kids to follow the lead of adults and older siblings by serving themselves. (Support little ones by holding platters and bowls or assisting with utensils.) Pre-plating may be a bit less fussy, but it “tells” a child what and how much they “should” be eating versus empowering them to listen to their own internal hunger and satiety cues. And when new foods, especially vegetables, appear on a child’s plate, they can be intimidating. 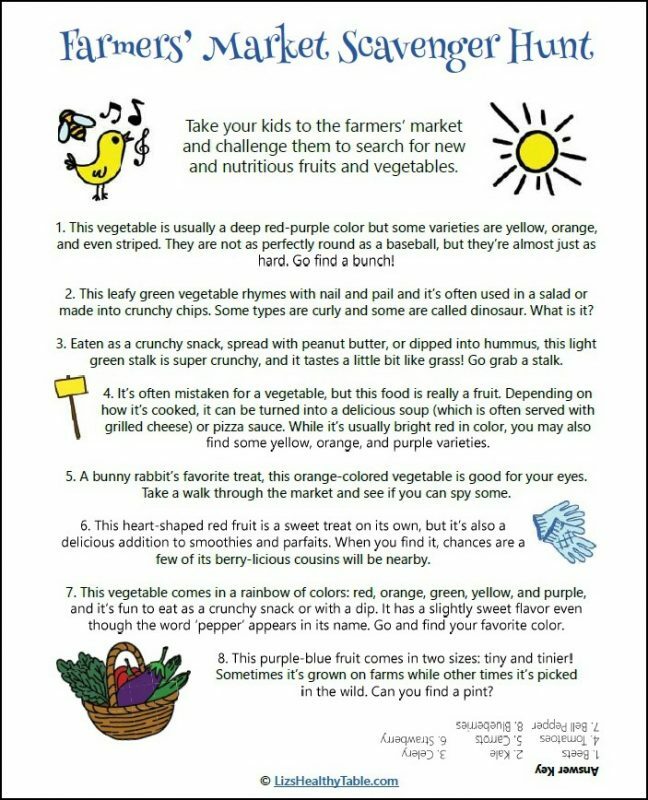 By placing colorful vegetables on platters and in bowls, kids of all ages are more likely to try them, and the veggies quickly become the shining star at the table. Some foolproof dishes are roasted cauliflower florets, steamed baby carrots drizzled with honey, a mixed vegetable and brown rice medley, or Caesar salad. 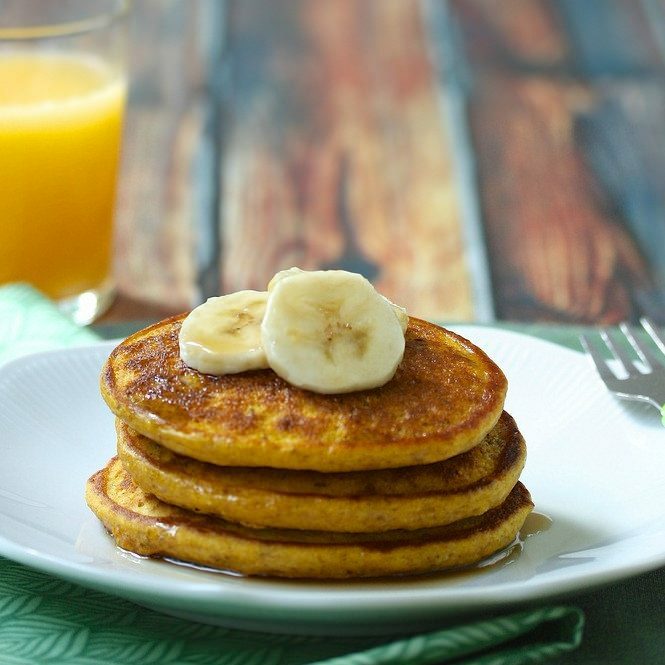 Before you butter your whole wheat toast or pour a bowl of breakfast cereal, serve up some veggies instead. Blend a handful of baby spinach or baby kale into a smoothie; add sautéed sliced mushrooms or bell peppers to a cheese omelet; or open a can of pumpkin puree and mix some into a pancake or muffin batter. Starting your family’s day with a “vegetables first” approach can be delicious, nutritious, and best of all, easy. Have your kids ever tasted a freshly picked sugar snap pea? Do they know that beets come in a rainbow of colors including red, yellow, orange, and even white? And have they ever met a real-life farmer? Take your family to the farmers’ market to sample fresh produce plucked straight from the earth, and let everyone pick a new vegetable to bring home and try. To turn your visit to the market into a grand adventure, download my Farmers’ Market Scavenger Hunt. Steamed vegetables can get ho-hum after a while, so shake up your usual side-dish repertoire by exploring different vegetable preparations. Toss broccoli florets with olive oil, kosher salt, and pepper and roast in the oven until crispy, tender, and sweet; serve less familiar vegetables such as radishes, kohlrabi, and rainbow carrots with your kids’ favorite dip; make crunchy kale chips; or fill a grill basket with mushrooms, sweet potato wedges, and colorful diced bell peppers and cook ’em up on the backyard grill. Colorful Buddha bowls (AKA macro bowls or hippie bowls) are oh-so-trendy right now. 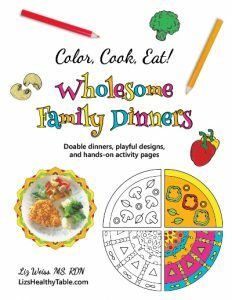 They’re also an incredibly simple, veggie-packed, customizable dinner for kids to prep with you. They typically include vegetables, a healthy whole grain like brown rice, and a protein. Since pretty much anything goes, kids and Buddha bowls are the perfect dinnertime combination. Plan a make-your-own-Buddha-bowl night by setting out a medley of healthy ingredients. Start with Uncle Ben’s Whole Grain Brown Rice. Rushed for time? 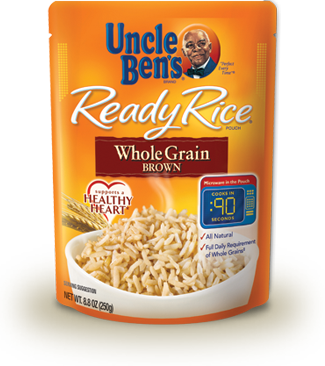 Choose Uncle Ben’s Ready Rice Whole Grain Brown, and the foundation of your supper will be ready in just 10 minutes. While the rice cooks, quickly prep your vegetable and protein ingredients. Your options are endless! In my house, some of our go-to faves include diced and roasted sweet potatoes, black beans, fresh herbs, sautéed spinach, avocado (technically a fruit! ), and hard-boiled eggs, grilled chicken or salmon. Need a recipe? Type “bowl” into the Uncle Ben’s Recipe Finder for dishes like All-American Beef Bowl with Rice & Veggies, Brown Jasmine Rice & Edamame Coconut Curry Stir-Fry, and dozens of other tasty ideas. 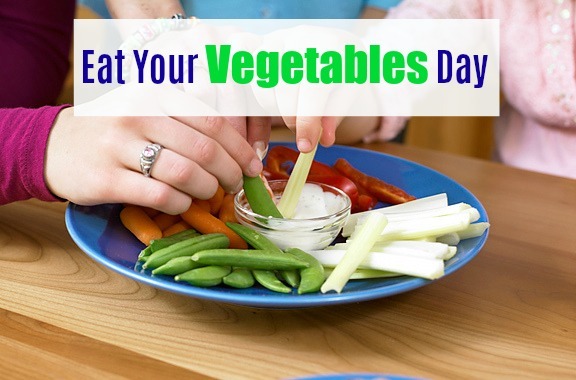 What are your best tips for celebrating Eat Your Vegetables Day?